Dynamo PR has launched a new division specialising in PR for Kickstarter-funded products. The practice will be lead by account manager Heather Delaney and will concentrate on products from around the world launching on crowd-funding website Kickstarter, helping them reach their funding targets through media coverage. It is believed to be the first practice specialising in PR for products being funded through the site. Primarily the team will focus on consumer technology launches, but will also offer advice to companies looking to understand the Kickstarter process. Dynamo will help MiiPC, a new Android-based PC created by eMachines co-founder Young Song, gain coverage of its Kickstarter campaign, due to launch shortly. The device aims to give greater parental control over children’s internet use. The move follows the agency's work for 3Doodler, a 3D doodling pen, which gained over $2 million (£1.3 million) of funding within a month to become one of the top 25 projects and gaining coverage with Wired, New Scientist and Engadget. Delaney said: ‘The internet has changed the game for fundraising. 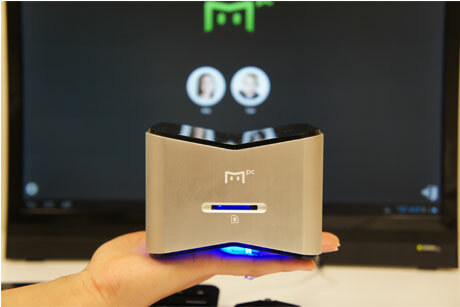 Now entrepreneurs and creative people like MiiPC can use crowd funding to test the market for their idea and help make it a reality. The crowd-funding website has steadily grown since its launch in 2009. It gained widespread attention for funding the Pebble watch, which earned £10 million (£6.5 million) of start-up cash, and more recently for funding the production of a movie based on the TV series 'Veronica Mars' with distribution support from Warner Bros.
To date Kickstarter has helped projects obtain funding worth more than $500 million (£329 million).